A beautiful clutching toy that's perfect for young babies to grab and play with. 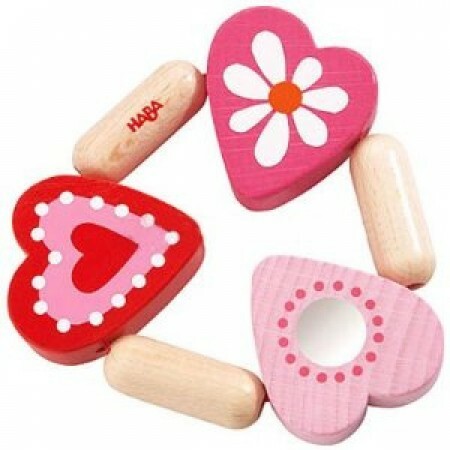 Pretty pink hearts with some shiny bits and flowers on and small wooden pieces all held together by strong elasticated string. Babies love to pull, stretch grab and chew these lovely toys.